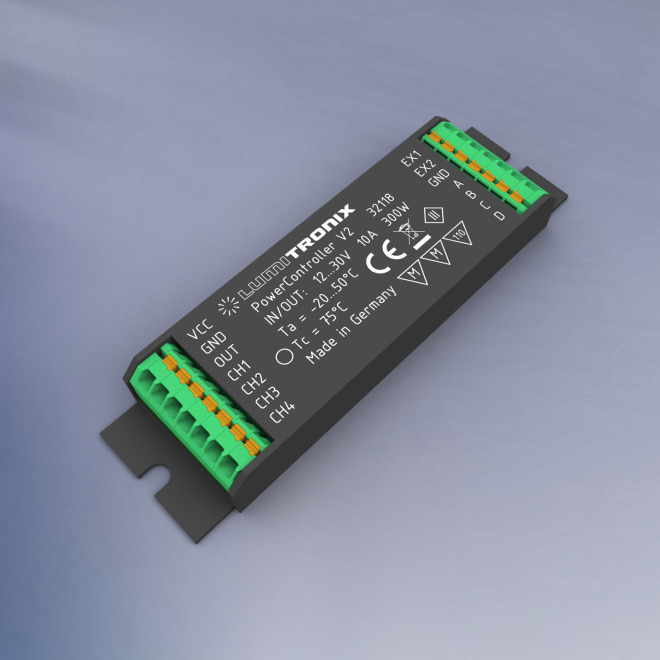 The new PowerController V2 from LUMITRONIX® is a powerful control unit for Tunable-White, Dim2Warm or colour changes. It offers a wide range of possibilities with a minimum size of only 100 x 29 x 13 mm. 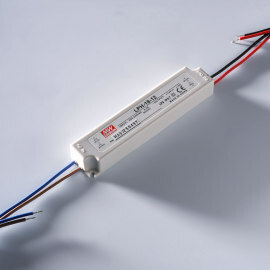 Four input channels (two active and two passive) allow the connection of buttons, dimmers, potentiometers or sensors, while four output channels provide a great deal of flexibility when implementing a wide variety of lighting scenarios. This means that the PowerController V2 can be used as a single-channel control unit, dual-channel control unit, three-channel control unit or four-channel control unit. With the programming adapter (Art. 32480) these configurations can be loaded onto the PowerController. The slim format allows installation in almost any type of luminaire, also due to the practical terminals. A total of up to 10 A can be switched via the outputs. 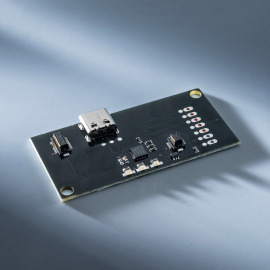 The PowerController V2 allows the control of constant voltage LED modules. The German LED expert LUMITRONIX® offers innovative and customer-specific LED solutions from a single source. Thanks to the in-house development and ultra-modern production in Germany, individual custom-made products are easily possible. Benefit from more than 15 years of experience and quality Made in Germany! The compact design with 13 mm height and 29 mm width allows installation in almost any luminaire. 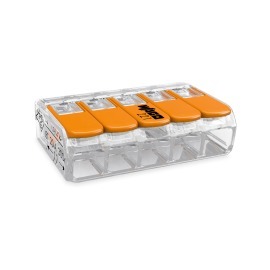 The practical clamps allow easy and quick installation.